This stately 2-story, 4 bedroom home exudes style and class. The kitchen features gorgeous cherry wood floors, Decora cherry cabinets, quartz countertops and stainless steel appliances. The living room is open to the sunroom which includes a wet bar and vaulted ceiling and overlooks the private backyard paradise which includes a pool, hot tub, pool house with full bathroom, and fire pit. There is also a family room and dining room on the main floor. Upstairs you will find the master suite, with double bowl vanity, large walk-in shower and spacious walk-in closet. There are three more bedrooms, another full bathroom and another half bathroom upstairs. The basement is partially finished. 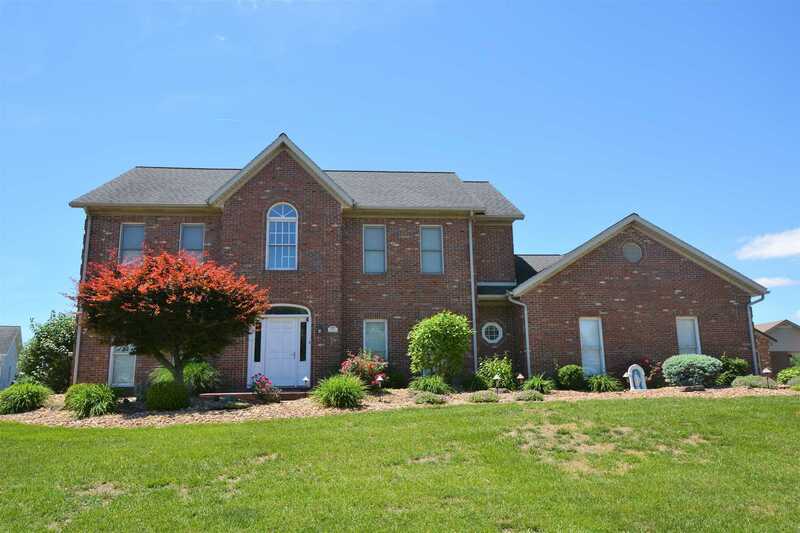 In addition to the attached 3-car garage, this home has a 25&apos; x 60&apos; detached garage! This elegant home is truly a "must see".